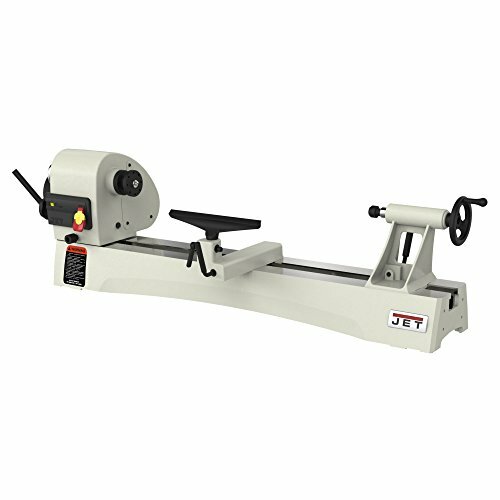 Purchase Jet JWL-1440VS 1 hp Benchtop Lathe at Discounted Prices ✓ FREE DELIVERY possible on eligible purchases. Optional extension bed takes the capacity to 60 between centers"
Do you want a lathe that's as versatile as your turning? The 1440 lathe from JET can be tailored to accomplish a wide range of projects. With a sliding and pivoting headstock, variable speed, and many other great features this lathe meets the needs of woodturners. Experience the 1440 lathe and see how Versatility Takes Shape.